Teaching of solar cell technology and vacuum technology (course code ITE1832), and introduction to electrical circuits (course code ITE1829). Establishment of a Raman spectroscopy laboratorium. General research and use of Raman spectrometer. 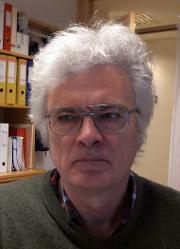 Svein Møller Nilsen (born 1956) is an Associate Professor (førsteamanuensis), with the academic degree of Teknologie doktor (PhD), at the Department of Industrial Engineering, Faculty of Engineering Science and Technology, UiT The Arctic University of Norway, within the field of Process Engineering. He holds a permanent 100 % full position at the UiT. Nilsen received his Civilingenjør (M.Sc) degree in Electrical Engineering, his Teknologie Licentiat, and Teknologie doktor degrees in Applied Electron Physics from Chalmers University of Technology (CTH), Gothenburg, Sweden in 1980, 1986, and 1994, respectively. Before joining Narvik University College (NUC) in Narvik, in 2011, Nilsen worked for almost 12 years at Chalmers University of Technology (CTH) in Gothenburg, Sweden on fabrication methods and characterisation of high-speed compound semiconductor devices, for 13 years at Infineon Technologies SensoNor on MEMS sensors, 2 years at Renewable Energy Corporation (REC), and 2 years at Innotech Solar (ITS) on silicon solar cells. In addition, Nilsen also had a short stint in the oil field service sector, and completion of oil & gas related courses at NTH (now NTNU) in the 1981-1982 time period. Nilsen has published papers, and reports on the topics of fabrication methods, and characteristics of diodes, transistors and MEMS devices. Currently he is teaching solar cell-, and vacuum technology at UiT campus Narvik, and setting up a Raman spectroscopy laboratory. His current primary research interests are novel materials for solar cell applications and their characteristics, Raman spectroscopy, and ab-inito calculations. Currently he is teaching solar cell-, and vacuum technology at UiT campus Narvik, and is setting up a Raman spectroscopy laboratory.